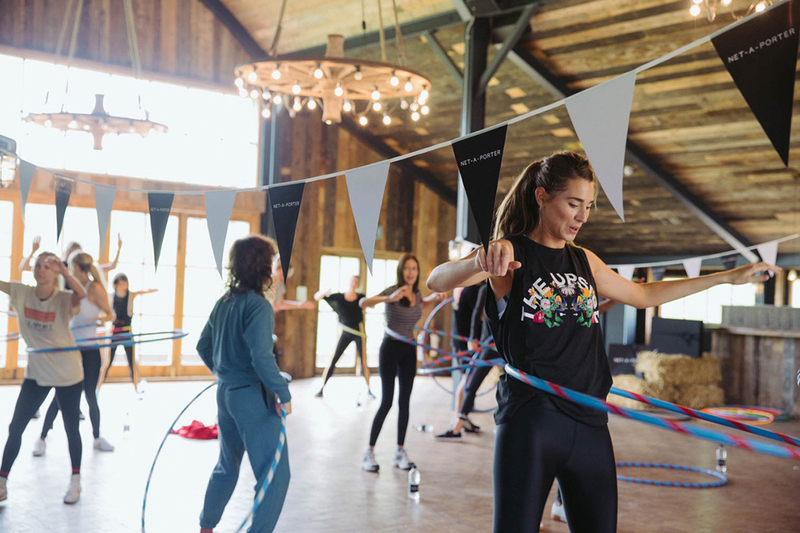 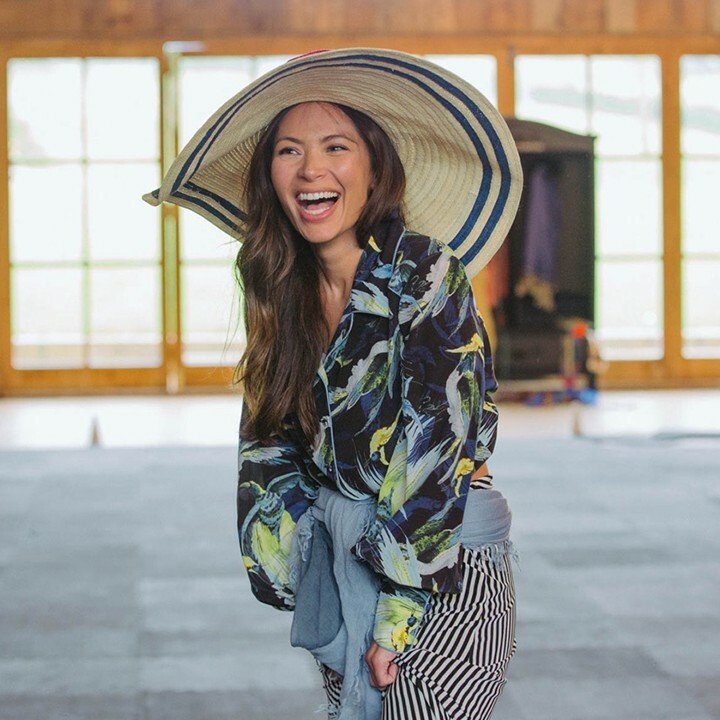 25 key fashion press and influencers were invited by Net-a-Porter to the picturesque Soho Farmhouse in Oxfordshire for a unique day of sporting and fashion fun. 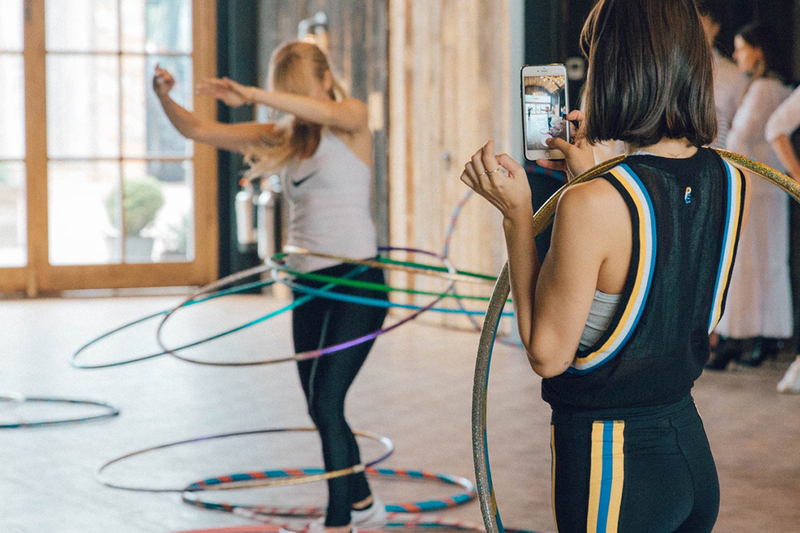 Activities kicked-off with a morning ‘Voga’ session, a fusion of ‘80’s dance moves and yoga that instantly got the energy levels up. 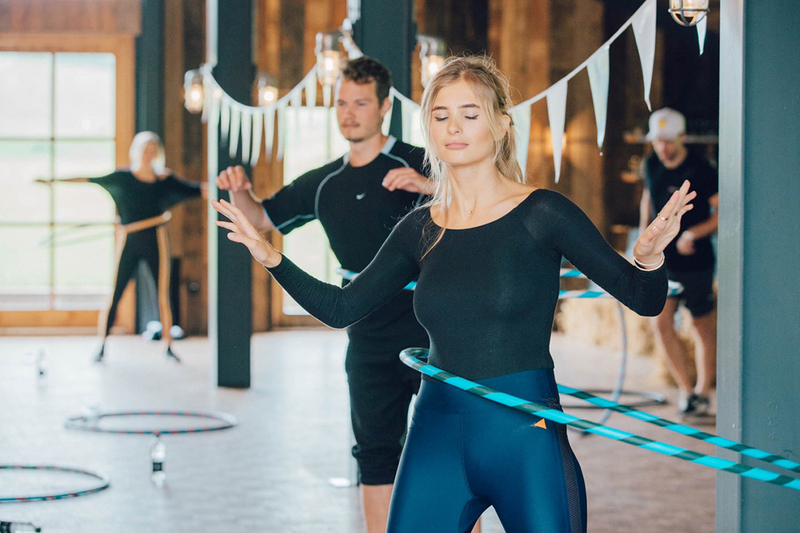 A Hula Fit class followed, before guests relaxed over a delicious lunch provided by Soho Farmhouse. 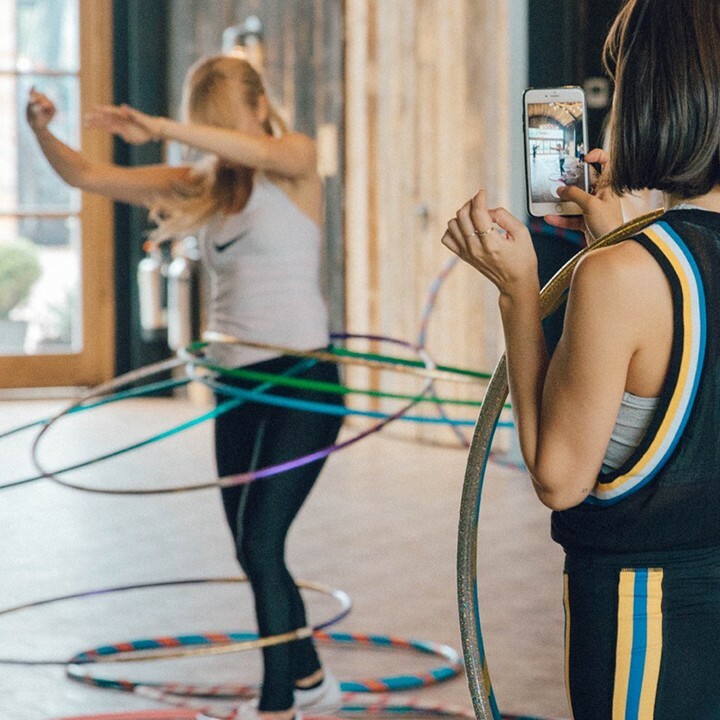 The day culminated with homage to beloved old school Sports Day games. 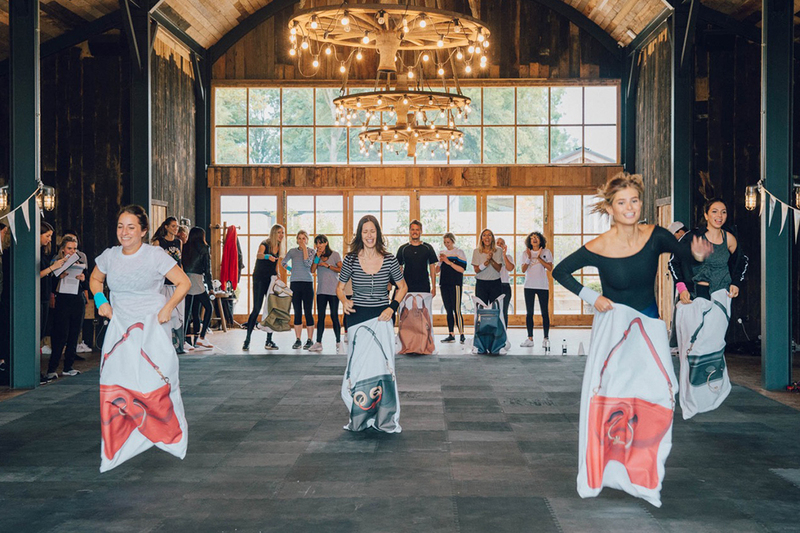 The egg and spoon, 3-legged and sack races were all given a Net-a-Porter twist. 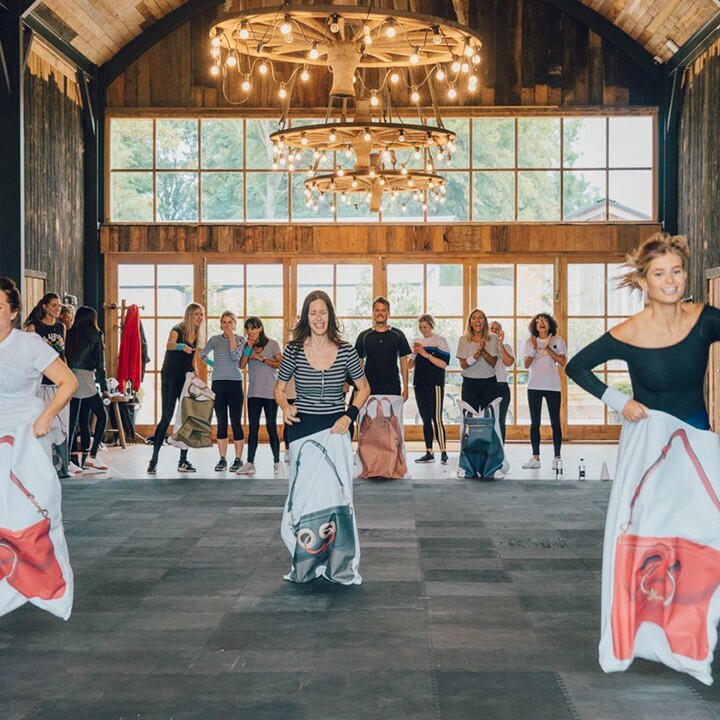 The sack race, which saw guests racing in oversized JW Anderson and Loewe designer handbags, proved to be especially popular. 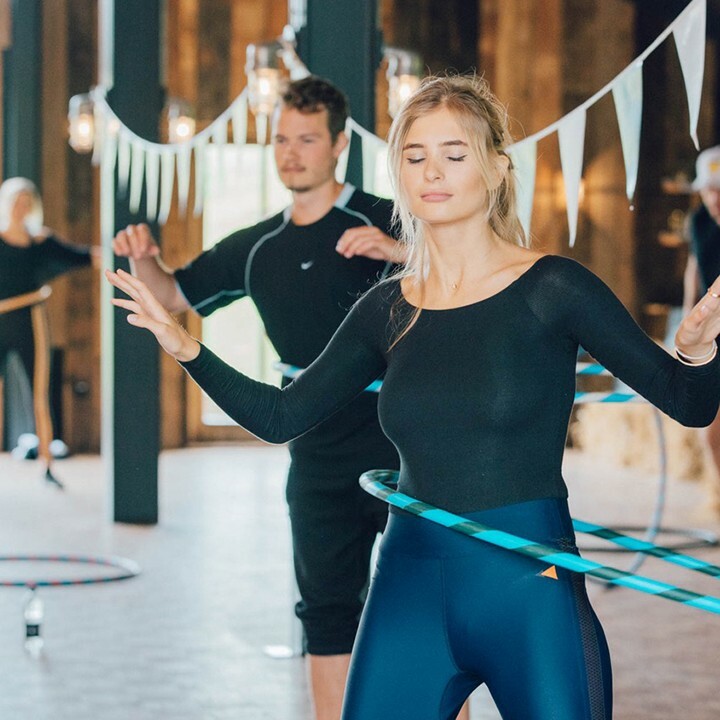 After being presented with a choice of Net-a-Porter prizes and Cowshed mini treatments, the top three teams took to the winner’s podium for team photos.